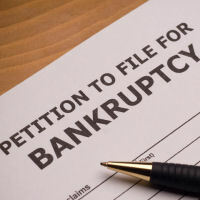 Washington State bankruptcy attorney Erin M. Lane offers a completely free case review, which will help you determine whether you should file for Chapter 7 or Chapter 13 Bankruptcy. The first step to filing bankruptcy is to determine which fits your situation best, you should not make any decisions without speaking with an experienced attorney who has helped hundreds of Shelton residents in debt. Use the contact form to the right or call (360) 753-5353 to make an appointment directly with his office. Remember the case review is entirely free, we strive to help you find freedom from debt without the pressures of going through all the information necessary to file for bankruptcy yourself. The process of determining which type of bankruptcy is best for your situation can be difficult, although the process is much easier when you have experienced counsel on your side. Erin M. Lane has been an attorney dedicated to Bankruptcy in Washington for many years, take advantage of the free consultation by calling (360) 753-5353.